SEATTLE — A Horizon Air worker took off Friday night in one of the airline's Q400 turboprops at Seattle-Tacoma International Airport and crashed on an island in south Puget Sound after being coaxed by air-traffic control to try to land and trailed by two fighter jets, officials said. The plane was taken by a 29-year-old Sumner man about 8 p.m. and crashed on Ketron Island, near Steilacoom, about 90 minutes later, according to the Pierce County Sheriff's Department. No passengers or crew appeared to be aboard the 76-seat plane. He was identified as Richard Russell, a U.S. official briefed on the matter told The Associated Press. The official wasn't authorized to discuss the matter and spoke on the condition of anonymity. The Sheriff's Department said it was "not a terrorist incident." The plane crashed either while the man was doing stunts or because of a lack of flying skills, according to the Sheriff's Department. "A joyride gone terribly wrong," Pierce County Sheriff Paul Pastor said during a news conference in Steilacoom, which is about 3 miles from the island. 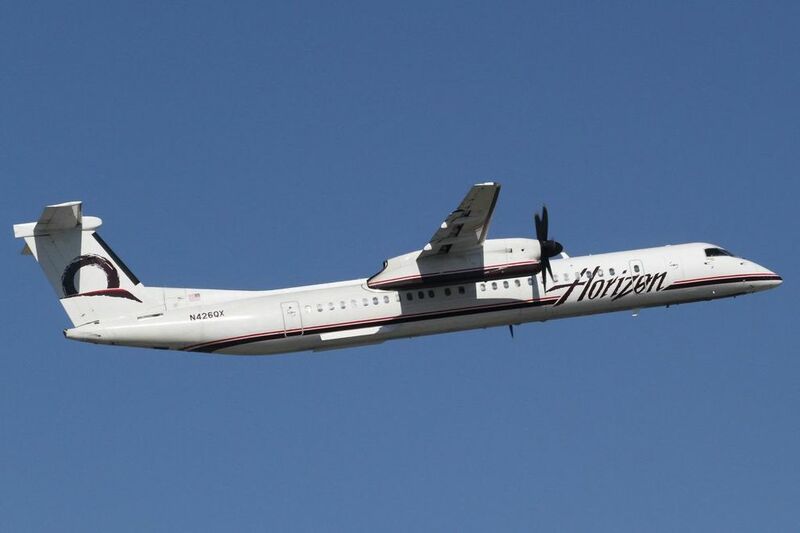 Horizon Air COO Constance von Muehlen said in a late-night video that "our hearts are with the family of the individual onboard as well as all our Alaska Air and Horizon Air employees." She said she believed the plane had been taken by "a single Horizon Air employee" and that no other passengers or crew were onboard. The employee was a "ground service agent," according to Alaska Airlines. On a live air-traffic control feed, the person flying the plane could be heard talking with an air-traffic controller who addressed him as Rich and Richard. Rich seemed excited as he spoke, though also carefree and wild. At one point he explained he had put some gas in the plane "to go check out the Olympics… and uh, yeah." Later, he began to worry about his fuel. "I'm down to 2,100 (pounds)," he told the ATC. "I started at 30 something. … I don't know what the burnage is like on takeoff, but it burned quite a bit faster than I expected." The air-traffic controller responded calmly, seeming not to want to upset Rich as the conversation continued and he tried to coax Rich into landing somewhere. Warning: some might find the following audio disturbing. "There is the runway just off to your right side in about a mile," the controller told him. "That's McChord" (meaning the military airfield at Joint Base Lewis-McChord). "Oh man," Rich immediately responded, "Those guys will rough me up if I try and land there. I think I might mess something up there too. I wouldn't want to do that. They probably have anti-aircraft." "They don't have any of that stuff," the air-traffic controller said. "We're just trying to find a place for you to land safely." "I'm not quite ready to bring it down just yet," Rich said. "But holy smokes, I got to stop looking at the fuel, because it's going down quick." "Could you start a left turn and we'll take you down to the SE, please," the air-traffic controller then asked. "This is probably jail time for life, huh?" said Rich. "I would hope it is for a guy like me." "Oh, Richard," said the controller, "We're not going to worry or think about that. But could you start a left turn please?" At another point, Rich said, "I've got a lot of people that care about me. It's going to disappoint them to hear that I did this. I would like to apologize to each and every one of them. Just a broken guy, got a few screws loose, I guess. Never really knew it, until now." An exchange between Rich and the controller not long before the plane crashed, perhaps the final exchange, was recorded by Aviation journalist Jon Ostrower at 8:47 p.m. and posted to his Air Current website. "I feel like one of my engines is going out or something," Rich says. "OK, Rich," the controller responded. "If you could, you just want to keep that plane right over the water. Keep the aircraft nice and low." A witness on the ground, Bryan Sichley, said he was at Chambers Bay in Tacoma and saw a plane nose dive after being chased by two fighter jets. 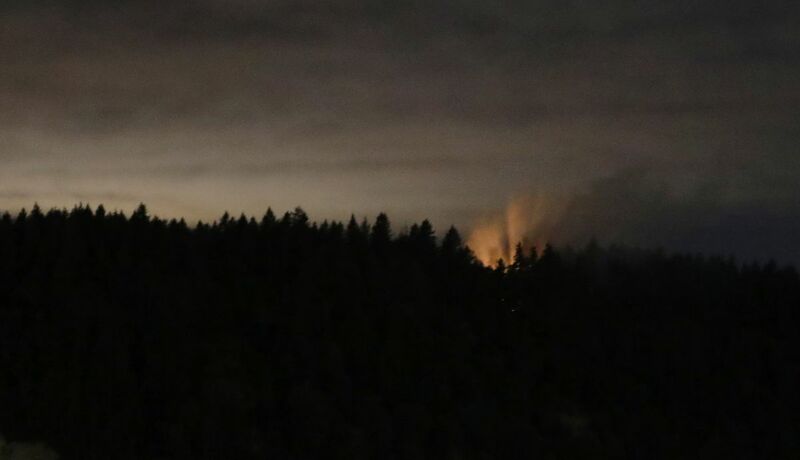 The Federal Aviation Administration reported about 9:30 p.m. that a plane crashed. Gov. Jay Inslee said in a statement that fighter pilots from the Air National Guard in Oregon and Washington flew alongside the plane "ready to do whatever was needed to protect us." Royal King of Mukilteo was photographing a wedding at Lake Steilacoom when he saw a low-flying plane and two F-15 fighter jets trailing it. He knew something was off, he said Friday night. He then saw the two jets come back around toward him, but not the plane. He didn't hear the crash, but saw smoke. "It was unfathomable, it was something out of a movie," he said. "The smoke lingered. You could still hear the F-15s, which were flying low." He said he was shaken by what he saw, and what he heard afterward. "That's somebody's son or husband or daughter. This is a tragedy," he said. Flights from Sea-Tac were temporarily grounded but normal operations resumed around 9:30 p.m. At the Alaska Airlines terminal, it was a hushed Friday night. Lines were modest and most flights were on time. Staff reporters Agueda Pacheco-Flores, Paige Cornwell, Dominic Gates, Mike Carter and Evan Bush contributed to this report.